Heat oven to 375°F. In ungreased 3-quart casserole, mix all ingredients, breaking up large pieces of tomatoes. Cover casserole. 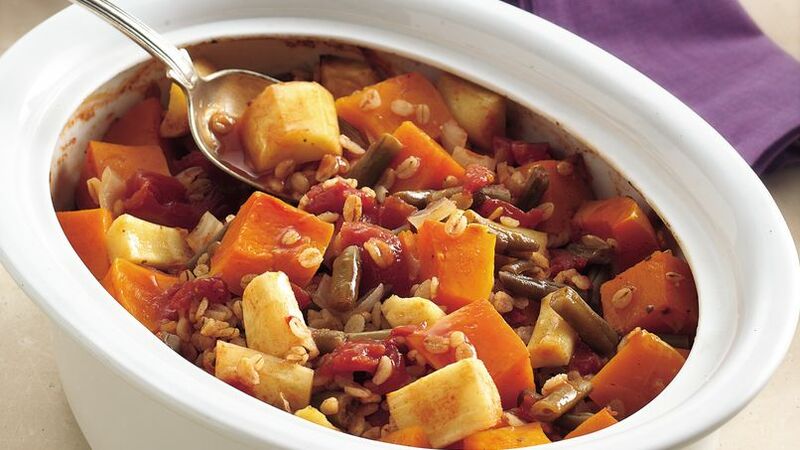 Bake 1 hour to 1 hour 15 minutes or until vegetables and barley are tender. Try carrots in this recipe instead of the parsnips. Butternut squash is peanut shaped and has a peel that ranges from cream to yellow. Inside, the squash is bright orange and sweet.